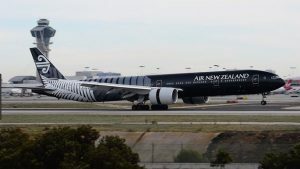 A plane has “sliced into” an Air New Zealand B777-300 at Los Angeles airport, causing a flight carrying 285 passengers to be cancelled – while at another airport, Indonesia’s Lion Air has run into a solid problem in the form of a lamppost. 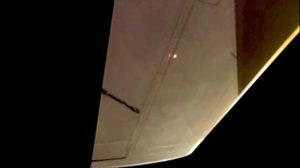 Air New Zealand released photos of the damage to its plane, which was parked at the gate and ready to operate flight NZ5 to Auckland when an aircraft from “another airline” (the New Zealand carrier didn’t identify it) clipped its horizontal stabiliser. Mystery surrounds the identity of the other aircraft, though aviation insurers are no doubt keen to find out. The horizontal stabiliser, also known as a tailplane, is a horizontal wing-like structure immediately below the tail fin, essential to flight. The flight had to be cancelled and engineers were travelling to Los Angeles yesterday. The repair is likely to take several days. Passengers, who were ready to board, praised the way Air NZ handled it. They were put up in the Sheraton Four Points LAX with meal vouchers. MEANWHILE, Lion Air ( which has enough on its plate after a recent fatal accident) has run into further problems when one of its planes smashed into a lamppost before take-off. 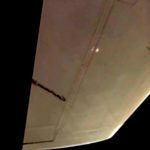 The Lion Air B737-900 was moving from the taxiway to the runway at Fatmawati airport in Bengkulu, Indonesia, when its left wing collided with a metal lamppost. The mishap happened a week after one of the airline’s jets crashed into the Java Sea killing 189 people. The latest mishap was minor, but it still led to the cancellation of flight JT633 to Jakarta. Passengers moved to another plane and arrived four hours late. Plane and pilots have been grounded while the crunch is investigated.